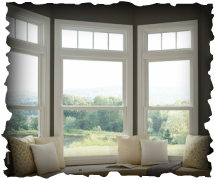 ​Bethesda Window Company is proud to serve Bethesda, MD and the surrounding area with the finest quality window replacement and installation services. We pride ourselves in the quality of our work as well as our outstanding customer service and skilled window specialists. No matter what window service you may require, the expertise of our technicians sets us apart from others in the area. Our main priority is to provide you with the absolute best service that you would expect from the area’s premier window repair and replacement company. Regardless of your individual needs, our contractors are prepared to help you find the best solution to suit your situation. We guarantee that you will receive the finest craftsmanship possible. 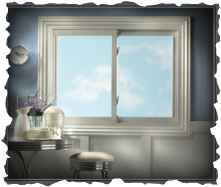 Why You Should Consider Replacement Windows from Bethesda Window Company? You will notice a reduction of the noise in your home. 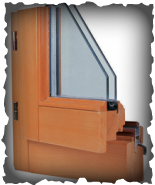 If your windows fit properly in their panes and are high quality, this will help to both increase privacy as well as reducing the amount of outside noise that can be heard from inside your home. Protection from Harmful UV rays and heat. If you install replacement windows that are equipped with UV protection, this will help to protect your floors, inside walls, and other furnishings from harmful UV rays and excessive heat. The amount of natural light that enters your home can help to brighten up any room. Our replacement windows are designed to allow the maximum amount of natural light into your home to make your space feel even more comfortable and pleasant to be in. Replacement windows in Bethesda can be a great way to reduce your energy costs. Maintaining well-insulated windows in your home will keep a tight seal between the harsh temperatures outside and the inside of your home, which will reduce the amount of energy required by your cooling or heating systems. 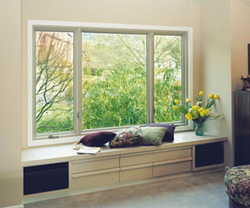 Your windows are also an important part of the overall aesthetics of your home. Adding custom and unique windows can add a great deal of character and personality that will be evident to all who see your home, whether from the curb or from the interior. Proper windows can help to improve the total amount airflow and ventilation that is able to move through your home. Making sure you have the most efficient windows will help your home to maintain a fresh and healthy feel, as well as increasing your personal comfort and health as well. 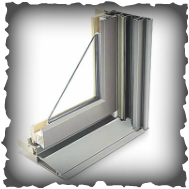 Longer Lasting Windows - As with any advancement in technology, the advancements in window construction have drastically improved over recent years. Improvements to the design and construction of modern windows allow for increased durability, easy maintenance, and lasting structures. Upon receiving your call, one of our qualified window technicians at Bethesda Window Company will assess what needs you have and what window services would best suit your individual situation. We will work side by side with you to determine exactly what you’re looking for, and what features you would like to have in a replacement window or repair. There are a wide variety of window styles as well as brands to choose from, and we will help make your visions become realities! All of our estimates at Bethesda Window Company are efficient and honest. We will never suggest products or services that we don’t believe you need. We want to work with you as well as your budget to make sure that we provide you with the best replacement windows, window repairs, installations, and other window services possible to make sure that you are completely satisfied. Have a style in mind that you didn’t see listed? No problem! We will make sure we get the exact window that you’re looking for, and will have it professionally installed and ready to brighten up your home in no time. With every service we provide, no matter how big or small, we at Bethesda Window Company always strive for customer satisfaction in everything we do. We will make sure that all of our repairs, installations, and replacement services meet all of your window needs while we work to surpass your expectations! We love to talk with you further, especially if you have questions about our services or if you have concerns! Your windows are going to be a part of your home for a long time – we want to make sure that you are satisfied with their appearance as well as their performance! If there’s something that you feel could be done differently, please let us know and we will work with you to figure out how to best serve you and your home! We won’t leave behind a mess – our technicians always make sure to clean up after themselves when they’re finished, and will remove any old windows from your home so that you don’t have to worry about them! We know you’re busy. That’s why we will work with you and your schedule to make sure that we find the perfect time to provide you with our quality window services when it’s most convenient for you. Our punctual technicians will make sure that we don’t keep you waiting, and that everything is to your liking with your new windows! Windows are not only an important part of the appearance of your home, but having the right windows and making sure they are installed properly can significantly save you on heating and cooling costs throughout the year! Don’t feel overwhelmed by all of the options when it comes to replacement windows and window services – call Bethesda Window Company 301-685-0299! 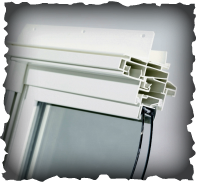 We know windows, and look forward to working with you to find the best window solution for you and your home! Want to learn more about what Bethesda Window Company can do for you? Call us today at (301) 685-0299, or fill out our online form to request a free quote! Our friendly staff is standing by to answer your questions, and learn more about you and your home! 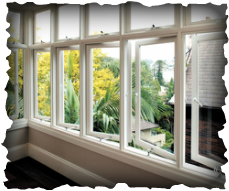 Have you been wanting to install a beautiful bay window or picture window, but didn't know where to start? Been meaning to repair your existing windows and just haven't gotten around to it because the task seems so daunting? 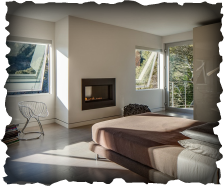 Hiring a professional window company like Bethesda Window Company is the best place to start. We will come to your home or place of business, take a look at what you have now, let you know exactly what needs to be done and give you an estimate FOR FREE! If you want to add light and beauty to your kitchen why not add a garden window, it will bring in the natural sunlight and will allow you to grow plants or herbs in the window. It is a great addition to your home, and by hiring Bethesda Window Company to install it, you can rest assured it will be done quickly and professionally. If your windows are old and single paned and you want to upgrade to double pane to help reduce energy costs, call Bethesda Window Company at 301-685-0299 to replace your windows. Bay Replacement Windows can change the appearance of a room and add a little beauty. Bay Windows extends out from your home. It makes your room look larger, but it brings in the natural light and the outdoors becomes a part of your room. Bay windows are also great in bedrooms. Imagine adding a little bench under the window and getting cozy with a good book! sunlight. Want to really open up your room California style? 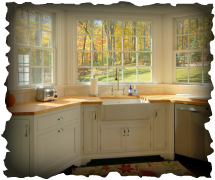 Hire Bethesda Window Company to install a nano door sliding window? It will transform your room into something spectacular with all of the natural light and the beauty of the outdoors streaming into the room. Do your kid accidentally break a window by playing ball in the house? No need to panic, just call Bethesda Window Company for your window repair in Bethesda, MD. No need trying to figure out how to do it on your own. Adding new windows to your home is an easy and inexpensive way to transform any room without doing major renovations. A new window will bring will brighten up your home. Studies show that being exposed to more sunlight helps to reduce stress and the seasonal affective disorder that many people experience during the winter months, so open up your home and bring the outdoors indoors and enjoy a whole new room. So what are you waiting for? 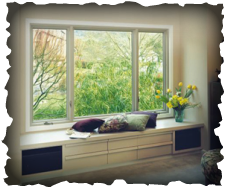 Call Bethesda Window Company for the Best Replacement Windows in Bethesda today or fill out the form for a free estimate!